Most of you didn’t win. It pains me to say it. It really does. 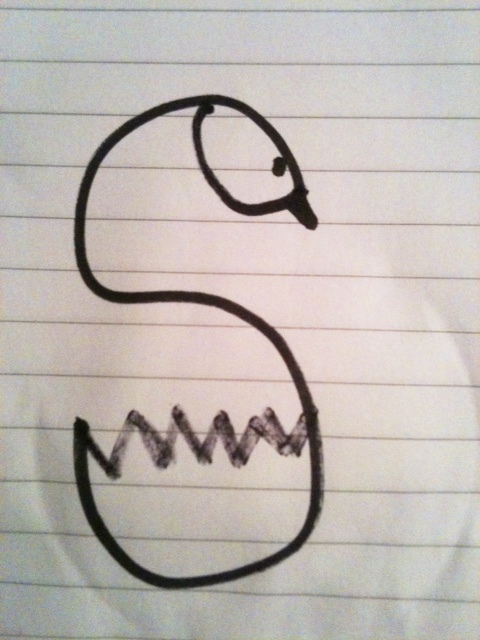 Would it help if I showed you how I can make an “S” into a swan? Would this maybe help you feel more at peace with this whole mess? On Twitter tonight, I said that I immediately regretted not showing my “unfollowers” how I can make an “S” into a swan before they decided to cut me off into the internet abyss. Meanies. 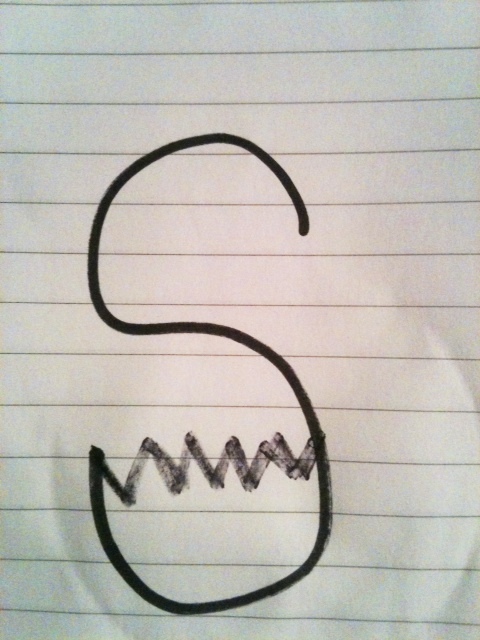 Maybe if I had just shown them how I can transform a swiggly line, a boring letter…into a SWAN, they’d stick around? I’m hoping you’ll stick around. I know TONS of you followed me via Google Friend Connect and Twitter all in the name of the iPad 2 and when you find out you didn’t win, well, am I going to just fall down into your internet graveyard? Well, AM I? This is horrible!! her nightstand to use instead. 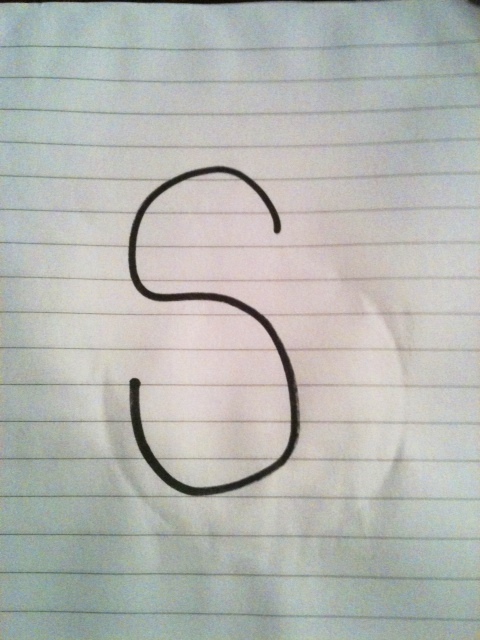 dry spots on the half-swan/half-letter beast. This really is turning out to be quite the masterpiece. am worthless! I don’t deserve to any more bowls of Frosted Flakes EVER! 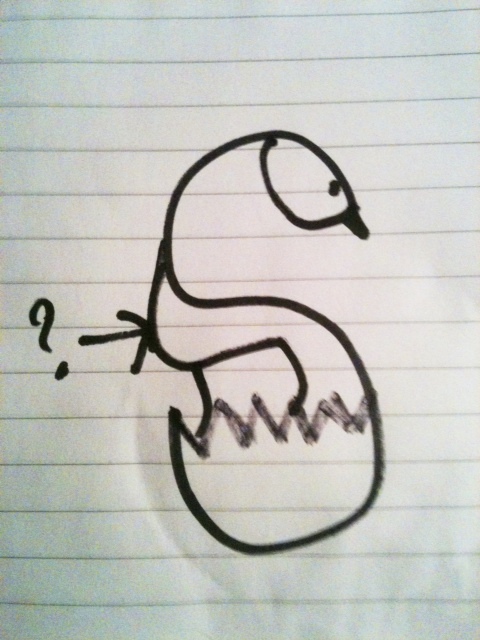 So, swan drawing isn’t going to bring any more peace to your hurting souls when you find out in a nanosecond you didn’t win, is it? *Sighs heavily* Before I tell you who won the BIG prize, I want you to make sure you scroll down to BELOW the winner’s name for the 2 runner-ups. You see, Vonage gave me $30 in iTunes gift cards to call someone outside of the United States. Since the only people I technically know and actually speak to in real life is the guy that sells newspapers on the street corner on Sundays (and that is only limited to “Here’s $2. Thank you.”), I couldn’t really use those gift cards for that purpose. I asked her if I could divide them up and give 2 of you the gift cards instead. So, although it is not an iPad 2, two of you will at least be able to buy Kenny G’s Greatest Hits and The Best of William Hung. Remember him? She is quite the giveaway entererererer. She says that she started entering giveaways when her daughter was born and got hooked! It definitely paid off for her this time! She said that her mother’s laptop is not working anymore and plans to give this iPad 2 to her. Lucky lady. Congratulations, Soha! I have already talked with Ms. Molina and arranged the passage of the goods. Peiji and Kelly, send me an e-mail at kelleysbreakroom@gmail.com if you are interested in the iTunes gift cards. If I don’t hear from you in a day or so, I will pass them on to a new person. You may have all the William Hung your iPod can handle! Again, for the new people, thanks for being a part of my little world for these last few days. I would love for you to come kick it in the Break Room anytime! For you old people, GROUP HUG!